Unrivaled craftsmanship & timeless beauty, this casket is made from 100% solid mahogany in a hand rubbed gloss finish with gold hardware accents. Classic style is elegant and quality construction is guaranteed by lumber that is graded FAS or better and selected for superior color & grain. 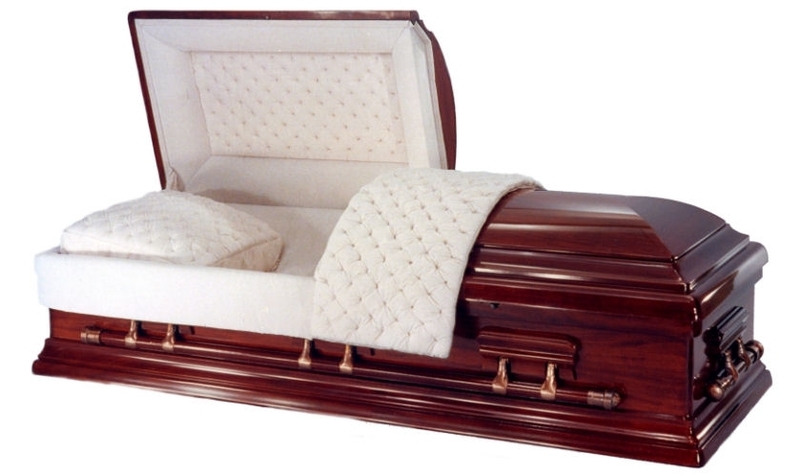 Each casket is made in America by skilled artisans and required to pass a 10-point quality control inspection before leaving the factory. Designed to fit all standard size burial vaults. whopping 9,600 at the funeral home. We sincerely thank you from the bottom of our hearts.